Stephen Kaufman is an industry-recognized thought leader and visionary. The former CTO of SHAWK! SGK, Stephen brings both a unique vision and leadership skills honed over the course of 20 years in the Label and Artwork Management and premedia industries to BLUE. 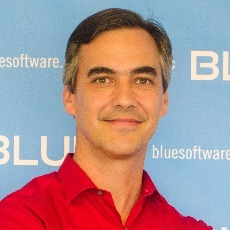 His goal is to gain an ever-deepening understanding of BLUE customers’ future needs to enable BLUE to sustain its role as the technology leader in the next generation of solutions.